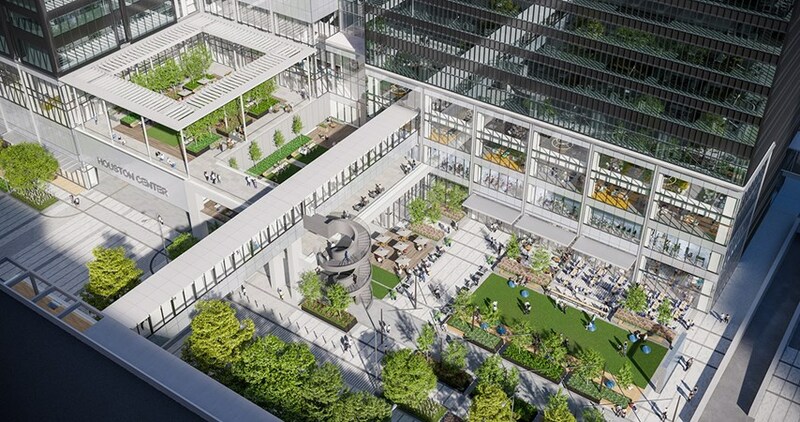 In January of 2019, Brookfield Properties announced that it will redevelop and revitalize Houston Center—an aging 4.2 million-square-foot office complex in Houston, Texas. The firm purchased Houston Center a year ago for $875 million, making it one of Houston’s largest-ever commercial real estate transactions. Houston Center is situated on 9.2 acres spanning five blocks and holds the distinction of being the largest property by square footage in Houston’s urban core. Developed between 1975 and 1983, the LEED Gold-certified campus encompasses four buildings, the largest of which is the 1.2 million-square-foot Fulbright Tower. LyondellBasell Tower and 2 Houston Center encompass roughly 1 million square feet each. 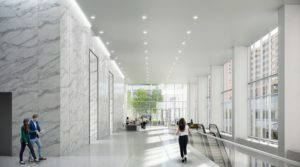 The 870,000-square-foot 4 Houston Center completes the group, featuring 674,000 square feet of office space above the 196,000-square-foot The Shops at Houston Center restaurant and retail segment. The renovation project, conceived to create a more welcoming and connected experience, centers on the reinvention of the central plaza and green space to create a fluid link to street-level and neighboring attractions. The re-envisioned plaza will include such features as a digital water wall, flexible entertainment space and a stair connection to landscaped terraces. At 2 Houston, the lobby will be comprehensively renovated and enhanced with the addition of a two-story, glass facade. LyondellBasell’s lobby will also be upgraded with new conferencing venues and co-working spaces. 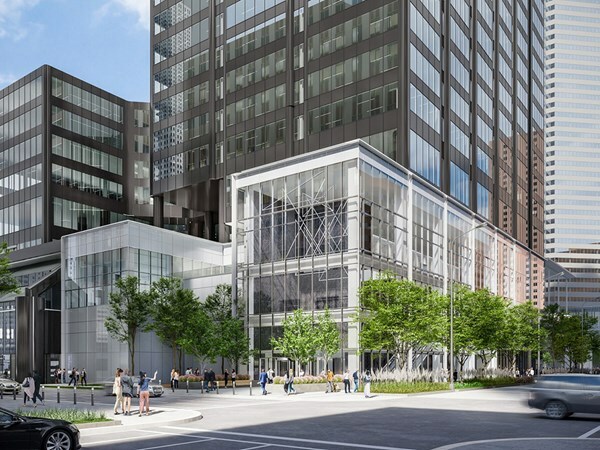 The transformation of Houston Center will also yield reclad sky bridges—providing a connection to The Shops, as well as a state-of-the-art fitness facility and a revamped retail and dining experience. 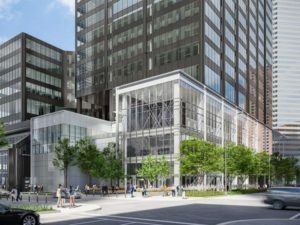 Brookfield has tapped Harvey Builders to serve as general contractor on the project, which is scheduled to get underway in February of 2019. Houston Center is already home to a list of notable occupants, including chemical and plastics company LyondellBasell and law firm Haynes and Boone, which signed an approximately 72,900-square-foot lease renewal at LyondellBasell Tower in 2018. 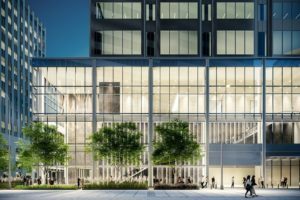 The Houston Center renovation project should help reel-in even more tenants seeking the type of premier office environment and coveted mixed-use offerings that attract and retain talent. Such projects are growing increasingly desirable in Houston. “Flight to quality persists in the major submarkets. Class A properties recently delivered or renovated with modern amenities continue to outperform their less modern peers with higher occupancy and rental rates,” according to a third-quarter 2018 report by CBRE. Transwestern is currently handling leasing at Houston Center. 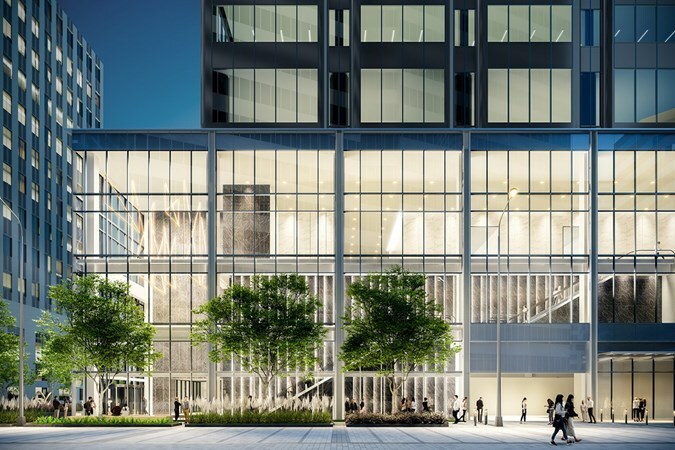 Brookfield expects to conclude the redevelopment project in late 2020. All images courtesy of Brookfield Properties. See Houston Center on Brookfield’s website.